and 6.30pm to 10.30pm for dinner daily. PICK your fish, select your desired sauce and sip wine or Chinese tea while the chef whips up a feast with fresh catch from the in-house aquarium. 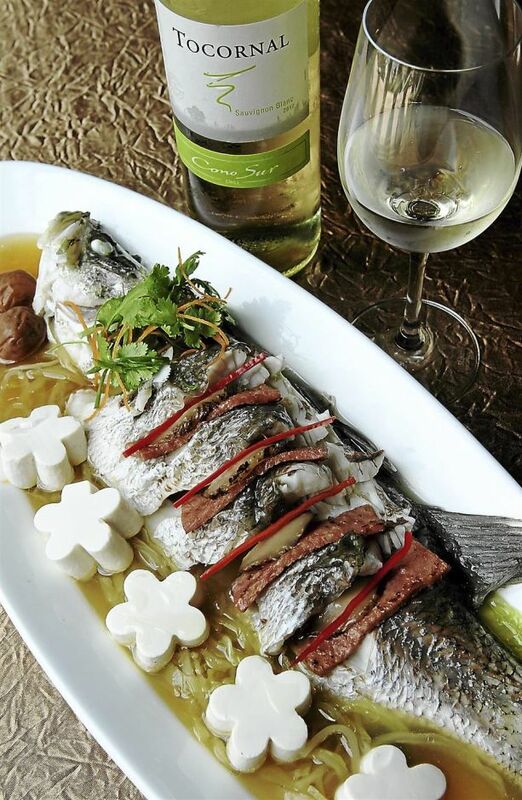 From Oct 14 to 28, seafood lovers will be able to indulge in West Lake Garden Chinese Restaurant?s Live Catch month at Sunway Resort Hotel & Spa, paired with a selection of wine hand-picked by the hotel?s wine connoisseurs. ?We wanted to give diners a new experience at a Chinese restaurant, hence the idea to serve wine to complement the dishes,? said Sunway Resort Hotel & Spa food and beverage director Shashidharan Maruthapillai. Patrons can choose from seven sauces and five types of fish. Shashidharan said the milder red wine was also recommended for some dishes as its sweetness would be able to bring out the flavours better. ?We also want to show that red wines, too, pair well with fish,? he said. Among the sauces are the Teow Chew-style sauce served with picked vegetable soup and chicken ham slotted between the fish, and the Thai-style sweet chili-based sauce. ?These sauces are based on the recommendations of our VIP guests,? said the restaurant?s assistant Chinese master chef Roy Chai Kam Loi, 32, who hails from Ipoh. When it comes to the fish dishes, chef Chai?s personal favourite is the Ying Yang Daily Live Catch, which offers two choices of sauce ? the Ying (Eastern) and Yang (Western) ? cooked with the fish of the day. Sampling the specialty, this scribe was served codfish in two types of sauces ? one was a sweet Japanese sauce while the other was a barbecue sauce with a peppery flavour. ?The Japanese-style sauce is my favourite because both the setting and sauce are unique,? said chef Chai, who hails from Ipoh. Meaty effect: The Teow Chew Style Steam Sea Bass, with slices of chicken ham wedged in-between. This dish is served in individual portions, the fish placed on a netting atop a rectangular clay bowl with charcoal inside. And the wine recommended with this is French ? Grenache M. Chapoutier Cotes du Roussillon Bila Haut Rouge. For patrons who prefer a more traditional Chinese steamed fish with garlic and ginger, there?s the steamed river Patin Braised in Spring Ginger Gravy. Served as a whole, finely chopped ginger is generously sprinkled on top of the fish. And to wash down the patin, which is known as silver catfish, a sweet South Australian white wine, Riesling Wynns Coonawarra, is recommended. Another freshwater fish that is favoured among the Chinese is the Marble Goby, or better known as the Soon Hock. 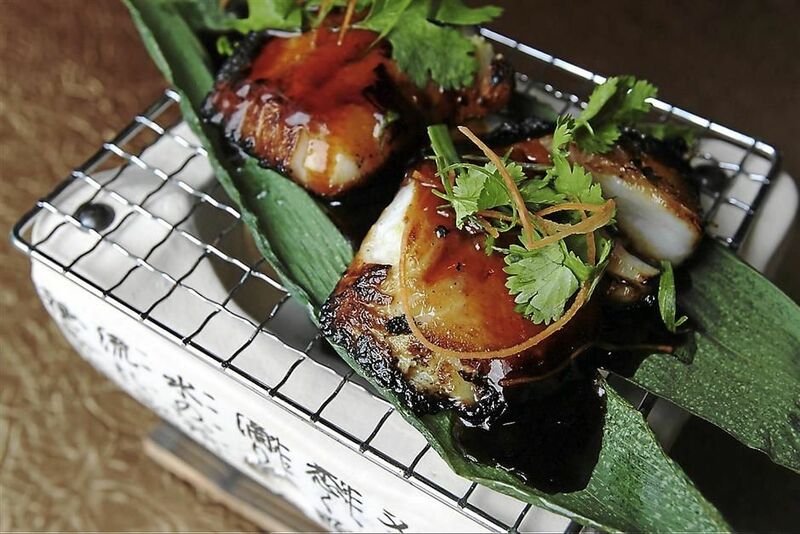 Best steamed and served in soy sauce, this fish is paired with the Pinot Grigio Voga Veneto, an Italian white wine. Another unique style fish dish on the menu is the Red Mullet Fish Casserole that is cooked in the chef?s own special Hong Siew sauce. The casserole is served sizzling hot in a claypot, with chunks of fish meat and vegetables such as sugar snap peas, baby lettuce, baby onions and Shiitake mushrooms. And for this sweet-flavoured fish meat, sip on a glass of Grenache M. Chapoutier Cotes du Roussillon Bila Haut Rouge, which is a French wine. Another sauce with a difference is the Thai Style Kong Po Dried Chili with Deep-Fried Fish Fillet . ?Patrons can choose to include different sauces in one fish dish. We charge by the weight of the fish and not the number of sauces we use,? said Sunway Resort Hotel & Spa marketing communications executive Laurine Pereira. The fishes are priced from RM13++ per 100g to RM45++ per 100g.